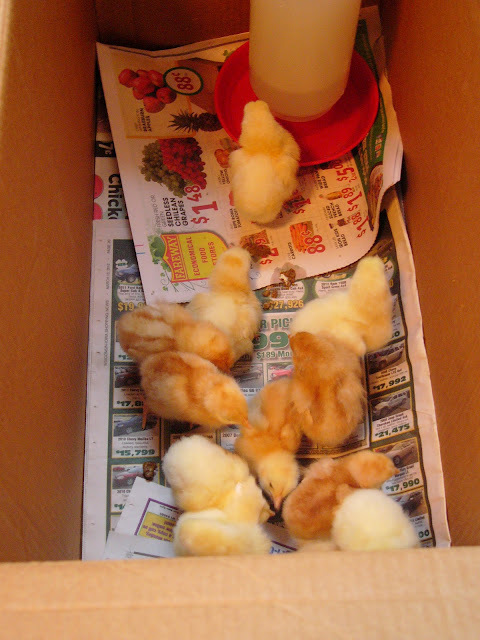 It is so amazing to me that I have had my chickens for almost ten months! I brought these little fuzz balls home on March 16th. They definitely went through an awkward looking phase. But they grew up into some amazing ladies. Despite all the damage they did to our flower gardens, they free-ranged all year. They apparently have developed some of my dislikes, and won't leave the coop now. A day before our blizzard, snow had melted, and they wandered a few feet outside. Now, when I open the door, all they will do is look. They have no interest in touching that white stuff! It's so funny when they go through their awkward "teenage" phase of getting feathers. They do look pretty odd for a while haha. Yours are very cute! They grow up so fast. Those are some beautiful ladies! I wouldn't go outside if I were them! They sure have grown into lovely ladies! Thanks for sharing at the Clever Chicks this week!